Two arm targets for APXS integrations were quickly chosen by the science team and handed off to the Rover Planners for assessment ("Ross of Mull" and "Mcleans Nose"). "Ross of Mull" is a grayer bedrock area with nodular material nearby, while "Mcleans Nose" is a prominent gray toned resistant feature. ChemCam data was acquired of a suite of targets, including those that had the elongate, raised, linear features known by the team as "sticks", as well as the two APXS targets. Documentation imaging of these targets, including multispectral imaging to characterize the visible/near-infrared spectral properties of the site, will happen over the course of the plan. MAHLI imaging of the workspace will continue and is likely to produce stunning images such as this captured of the "Canna" target region from the previous sol's plan. 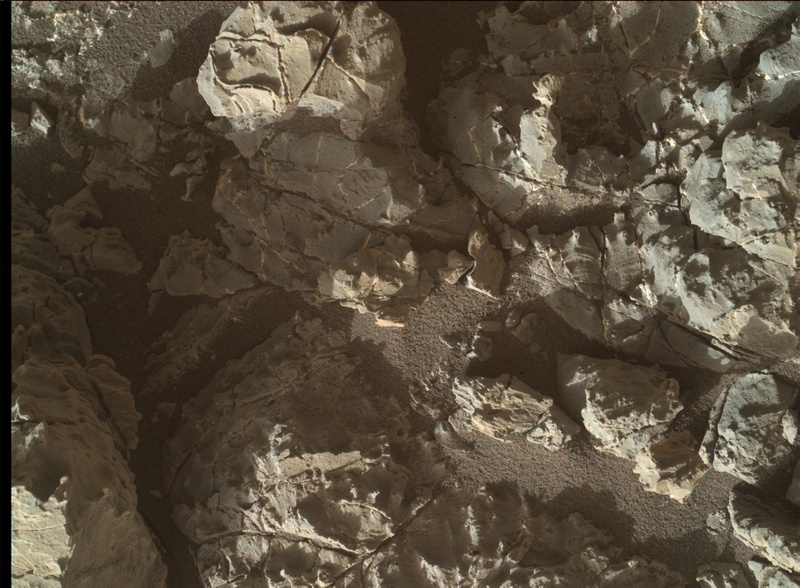 Mars continues to provide Curiosity with some fabulous rocks for investigation!